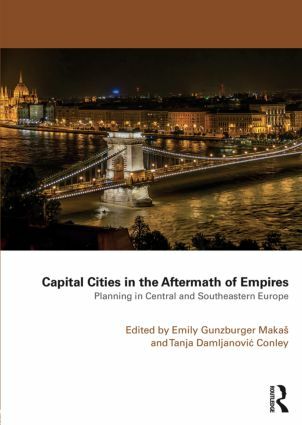 This book explores the planning and architectural histories of the cities across Central and Southeastern Europe transformed into the cultural and political capitals of the new nationstates created in the late nineteenth and early twentieth centuries. In their introduction, editors Makaš and Conley discuss the interrelated processes of nationalization, modernization, and Europeanization in the region at that time, with special attention paid to the way architectural and urban models from Western and Central Europe were adapted to fit the varying local physical and political contexts. Individual studies provide summaries of proposed and realized projects in fourteen cities.Each addresses the political and ideological aspects of the city’s urban history, including the idea of becoming a cultural and/or political capital as well as the relationship between national and urban development. The concluding chapter builds on the introductory argument about how the search for national identity combined with the pursuit of modernization and desire to be more European drove the development of these cities in the aftermath of empires. Emily Gunzburger Makaš is Associate Pr ofessor in the School of Architecture, University of North Carolina at Charlotte. Tanja Damljanovic Conley teaches architectural history at Massachusetts College of Art and Design in Boston.